Summahtime.. Time to Sit Back and Unwind! Travel got you stressing out? Try some of our team’s favorite tools to help our clients get the best deals and stay organized! Organization: Rhonda’s fave- TripCase is great for travel itineraries. Email confirmations can be forwarded directly to them and it will appear in the trip log in a couple of minutes. Also offers pre-paid airport parking, flight cancellation alerts, alternative flight info, contact info for all of the hotels, airports, car rentals, etc. Allows for notes and trip info sharing with friends and calendar syncing. 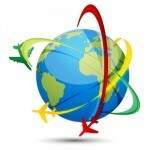 Alerts and Searches: Richard’s Fave- airfarewatchdog.com Program alerts with your favorite trips and each week it will tell you what the best deal is on each trip. They use live agents (as opposed to automated web crawlers) to find the best deals. The company offers access to discounts from carriers such as Southwest Airlines that other competitors do not, and gives users access to deals that carriers only allow to be posted on their own sites. Just plain awesome: Emily’s Fave- airbnb.com List your own space for vacation rental, or book unique accommodations around the world. Whether an apartment for a night, a castle for a week, or a villa for a month, Airbnb connects people to unique travel experiences, at any price point, in more than 33,000 cities and 192 countries. And with world-class customer service and a growing community of users, Airbnb is the easiest way for people to monetize their extra space and showcase it to an audience of millions.